Oozing rustic dread in the remote Welsh countryside, Gareth Bryn's The Passing toys with the hidden demons of three lonely characters on a sumptuous, wet and verdant stage. Beautiful to behold but perhaps too slight in the narrative department, this keenly observed supernatural chiller, which is also the first genre film to be shot entirely in the lilting Welsh language, falls just shy of outright success. Far removed from society, Stanley lives his life in a craggy house in the forest, spending his days trudging mud out of a well he is hoping will lead to water. One morning, following the sound of a blaring horn weaving through the hills, he finds a car that has crashed into a river. In it, an injured young girl, as well a defensive young man, whom he brings back to his cottage to recover. However, these youths, who are clearly hiding something, don't just stick around for the few days needed to recuperate. With an unnervingly still camera that allows the richness of the locations to seep in from each corner of the frame, The Passing is a beautifully constructed work, not just for the strength of its compositions but also its ability to juxtapose foreboding imagery with the fraying psyches of its central protagonists. Early on, Bryn sets the tone with earthy, claustrophobic shots set deep in the pit of the developing well. Among them, an image where the camera slowly moves up the shaft ratchets up tension as a rusty bucket cranks up on knotted ropes foot by foot. 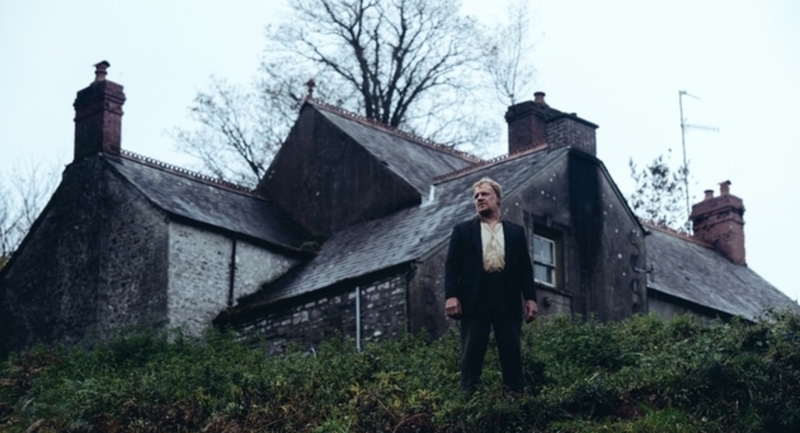 As the hillside loner, Mark Lewis Jones endows his character with an empathetic stoicism, both masculine in his ruggedness and vulnerable in his isolation and social inexperience. Annes Elwy, as the young girl, plays a reticent seductress, confident in her sexuality but not quite sure how to wield her charm and for what purpose. A bluster of nerves and defensive ego, Dyfan Dwyfor adds a raw nervous quality as her companion. While The Passing in undeniably impressive in its staging, performances and respect for its characters, its deliberate pacing verges on turgid and early supernatural elements, of the brief glimpse of a shadow in a bathroom mirror variety, offer little and are largely absent until the finale. However, any tedium is washed away in a strong climax with satisfies both visually and thematically. A little more meat may have made his feature film debut more satisfying, but TV veteran Bryn (behind BBC mini-series Hinterland) proves that he's a talent to watch.